I’ve just snapped some pictures of a rainbow – It’s been raining on and off today so I knew there would be one eventually – I need to go eat something now but I’ll post some of my pics later on. I’ve been dreaming about celebrities a lot this week. On Saturday night I dreamed about Lauren Graham from The Gilmore Girls, basically because I’ve been watching it every night – But we were out having a meal somewhere and she kept daring me to do things like order drinks and pour them over people’s heads – What a bad influence. Speaking of bad influences on Sunday night I dreamed about Kelly Osbourne, luckily she was pleasant and we just had a conversation about the crappy music of today. Then very strangely on Monday night about half of the cast of neighbours were in my dream and it was a really weird dream. I’m sure it had something to do with a murder mystery but I can’t exactly remeber but the one part I do remember is when Lynn Scully collapsed and died from a beta carrotine (don’t even ask) overdose. And she didn’t just die peacefully, she basically was sick to death – Hmm, I think I may have dreamt that because I’d just watch Team America and one of the puppets is unaturally sick – Needless to say it was hilarious. I didn’t dream about a celebrity last night but I did watch FOUR episodes of Buffy. Tough Love, Spiral, The Weight of the World & The Gift. That’s Season Five over and done with – I won’t bother with Season 6 as I’ve already watched it once this year. Before I sign off for today I want to wish my GOOD friend Michael a happy birthday – Happy Birthday! 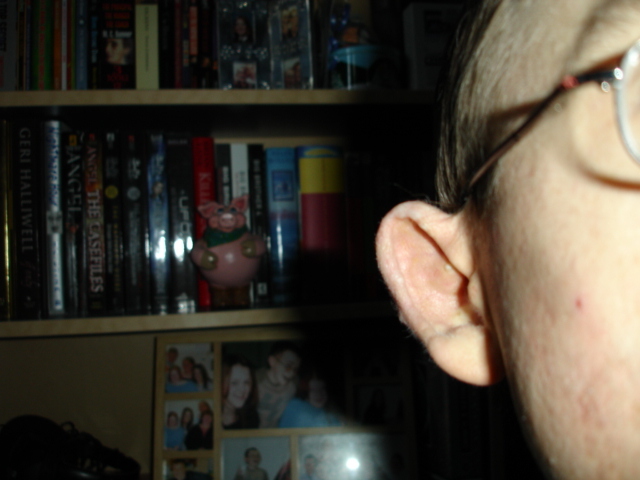 Ears are the first things I notice when I see a person (unless they have none), I analyze a lot about a person through their ears. Or at least I like to think I do, but to be honest they’re just kind of funny little sticky out things. In my case that’s especially true, I don’t like my ears, but I’m not bothered because I hardly ever look at them! 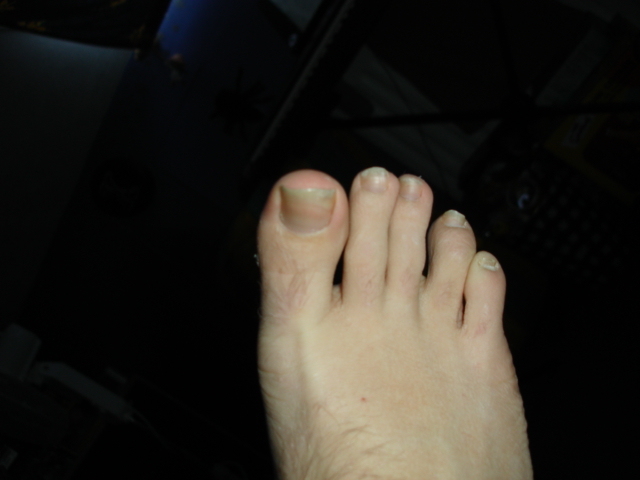 Now I know you’re all thinking ‘fetish’ but what I mean is I’m fascinated with my own toes, they do a lot of amazing things and my second toe is bigger than my big toe. It’s like the start a whole new foot! I always thought I could be a foot model but then I got hairy and now I don’t think I could, but if your a photographer and think differently then e-mail me! The worst I can do is say no (or forward a copy of your e-mail to the FBI… It wouldn’t be the first time). And so ends my post about body parts, I hope I didn’t bore you too much.